Beyond providing boundary-pushing media critique, Africa is a Country is interested in sharing the work of young artists who are changing the nature of African representation. Efforts to save lives in the West African Ebola outbreak have been undermined by a failure to involve local people more closely in communication about treatment and ethical decisions about trials, says a report published last week (17 February). Amnesty International released its annual report on Wednesday, noting a pattern of abuse and force being used to crush dissent in Southern Africa. There were positives, but as 2015 has already seen a rise in the activity of armed groups and state force on the continent, the pattern is worrying. 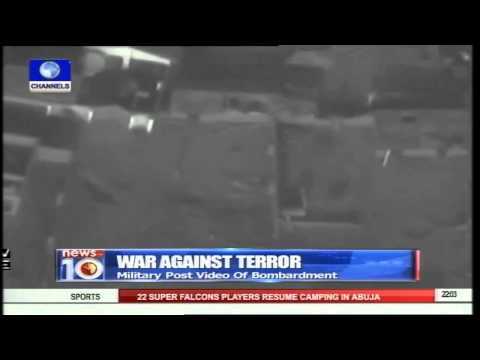 The military in Nigeria has released a video of air bombardment of the enclaves of the members of the Boko Haram terrorist group in the north-east, as it continues operations to reclaim areas under the control of the terrorists.